Fruit Spin (in case you didn't know) is an online slot brought to you by the good folks at NetEnt. Sporting 20 pay-lines over 3 rows, this title has everything you’d normally look for in an online slot, it has various multipliers, wilds and very immersive 3D graphics that will literally make you question why you haven't picked up this title sooner. Fruit Spin can be played on various systems inducing: Mac, Windows, and Linux. Fruit Spin also happens to run on NetEnts operating system that allows for even faster gameplay making it perfect for players who really like to be entertained when it comes to graphics and the like. Click to see these slots online on Wizard. Known for their own take on the online slot and online casino game market, NetEnt continues to make new strides everyday in every digital entertainment avenue they see fit. NetEnt offers a wide range of titles for every occasion, from online table games to online slots, so much to play and so little time. How many slots have you played from this developer? Not enough if you ask us. When you see that NetEnt tag, drop everything and play whatever they're offering now! This is not the only game we have from NetEnt, discover more on Wizard. Fruit is recommended to be consumed around 5 times a day, so why not get your daily intake while winning some money in the process. 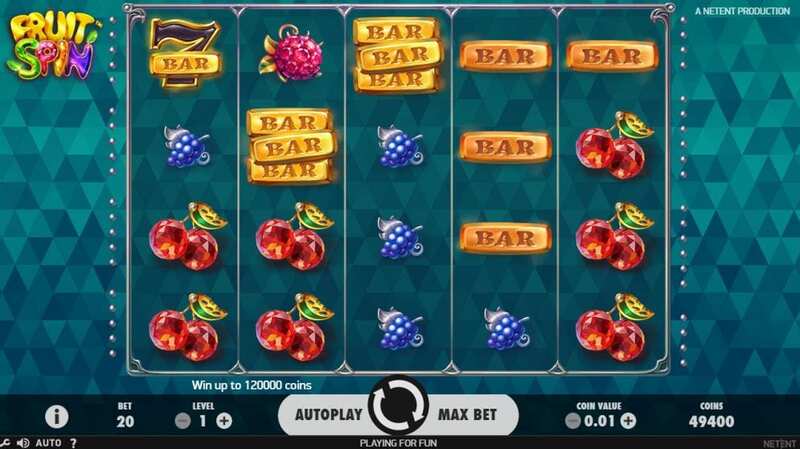 Fruit has never been this fun thanks to this slot though that is for certain, you’ll come to that conclusion also after playing it for yourself. 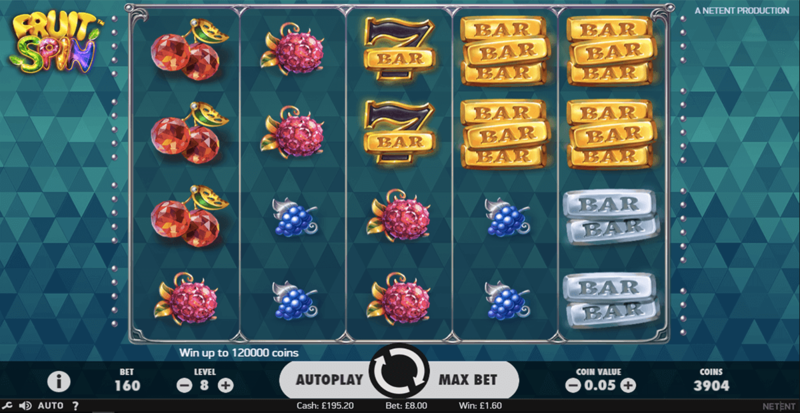 The gameplay itself is one that leans on the traditional slot setup with a colourful yet imaginative fruity twist. Wilds, scatters, free spins and additional bonus features are all available here. The more you play, the more chances you’ll have at using these features for yourself. So don't wait for too long and try the best slots games now! To begin your adventure, simply set the number of win-lines and spin away. Fruit Spin happens to be one of those slots that also offers an auto-play feature if you happen to be a busy bee. The auto-play (as its name suggests) allows you to spin a certain number of spins set at the same bet level without stopping. This can be cancelled at any time, just remember to utilise this mode if you want to get the most out of this game during busy parts of the day. NetEnt knows how to make a great online slot that's for sure which is reason alone for you to play it to see if fortunes favour the bold, and in this case, the bold just so happens to be you.